Scale-out storage systems enable IT teams to add performance and capacity incrementally, perform non-disruptive data migrations, and take better advantage of rapidly declining storage media costs. 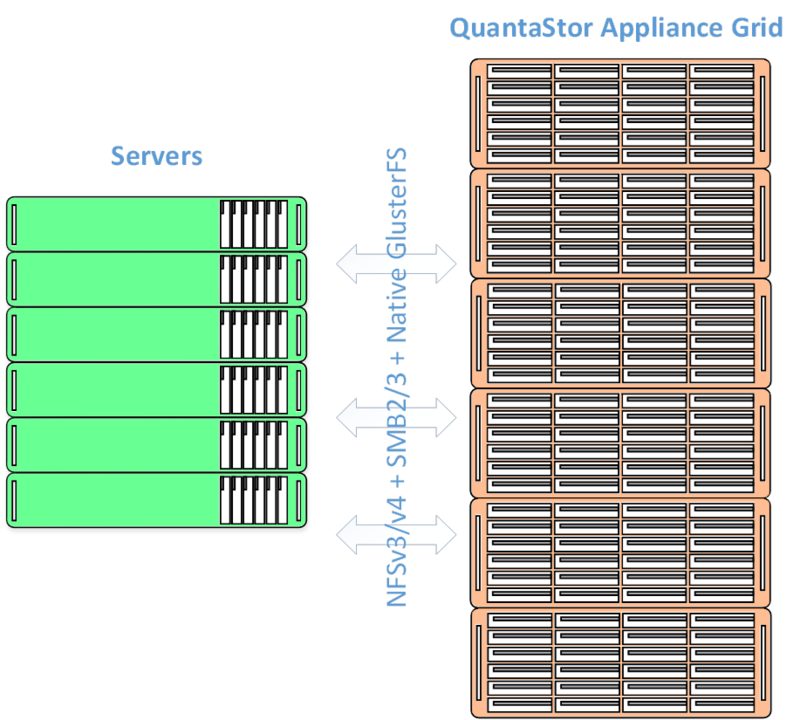 QuantaStor Grid management technology enables scale-out by linking appliances together so that they can be managed as a single unit which spans sites and data centers. Appliances within a grid can be comprised of a heterogeneous mix of hardware and may include multiple independent scale-out NAS clusters. Protocol Support Supports NFS v3/v4, SMB 2.X, SMB 3, and Gluster Client side native interface. Management “Single pane of glass” for management of the entire cluster.